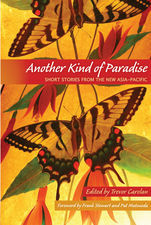 Another Kind of Paradise presents 21 contemporary short stories that delve into the contending passions, beauties, and contradictions of contemporary life throughout the East and Southeast Asian region—now more commonly known as the Asia-Pacific. This wide-ranging anthology of fiction in English features writers at the top of their craft in Japan, China, Korea, Vietnam, the Philippines, Malaysia, Laos, Cambodia, Bangladesh, and all over the continent. As front-line witnesses, these writers document deep social, political, and economic changes in the region through their stories. The result is compelling reading ideal for Asian literature and Asian studies courses or for anyone interested in world literature, Asian society amid the currents of globalization, or the latest voices from the Asia-Pacific world. The anthology includes notes on each author's works and life, as well as an insightful overview of the field by the editor and a foreword by the editors of Manoa Journal.